Toddler tantrums, sleep issues and fussy eating sound familiar? Our first Tackling The Toddler Years workshop on Sunday 9 September will tackle these issues head-on with insightful advice from our favourite experts. It’s at the Establishment in the Sydney CBD and tickets are just $49 (including lunch and refreshments!). Be quick, they’re selling fast – buy yours now via Eventbrite. Tantrums and tears, the terrible twos and threenagers are just some of the things parents face in the toddler years. This session will help you teach your child how to stay within boundaries, and learn what to do when they don’t. Stephanie Wicker is an early childhood behaviour expert, parenting educator and counsellor of over 15 years. So many questions about sleep, so few answers. How much sleep do toddlers need? What’s the best routine? What are night terrors? This talk will cover common challenges and offer effective solutions to get the best night sleep for everyone. 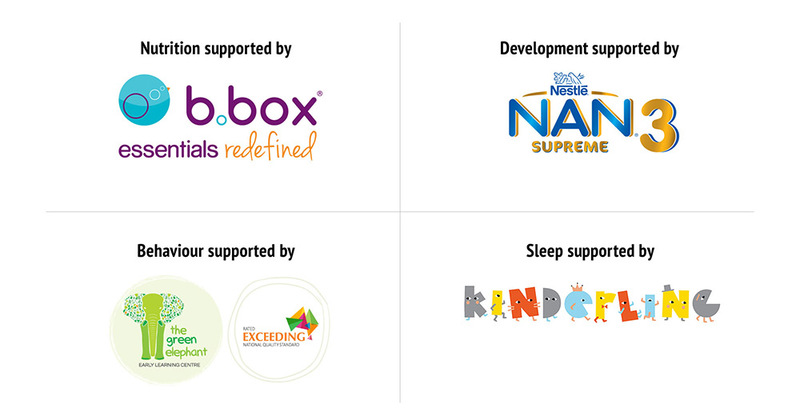 Jo Ryan is a child sleep expert, with a background in paediatric nursing for nearly 20 years. Her book Babybliss is the must-have guide to sleeping, settling and establishing routines for your baby. What makes toddlers really tick? 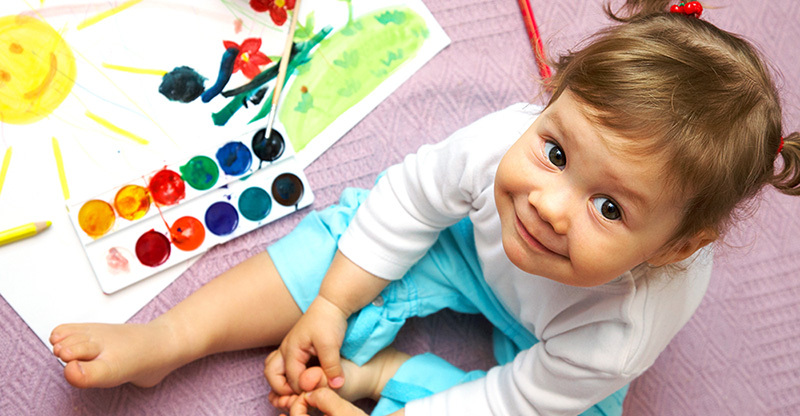 Your toddler wants to push the boundaries on every level and it’s exciting to watch them develop new skills. This session will help to explain their new behaviour and outline what you can expect through the toddler years. Anthony Semann is a presenter, researcher and regular conference speaker who specialises in early childhood. Is meal-time becoming a battle? This interactive session will dish out vital advice on healthy and nutritional eating that provide toddlers with the fuel they need to grow and develop. Plus it will dive into the frustrating issue of fussy eating and how to win over your little one when food is being thrown on the floor! Dr Jennifer Cohen is a paediatric dietitian and nutritionist and best known as the Fussy Eating Doctor. 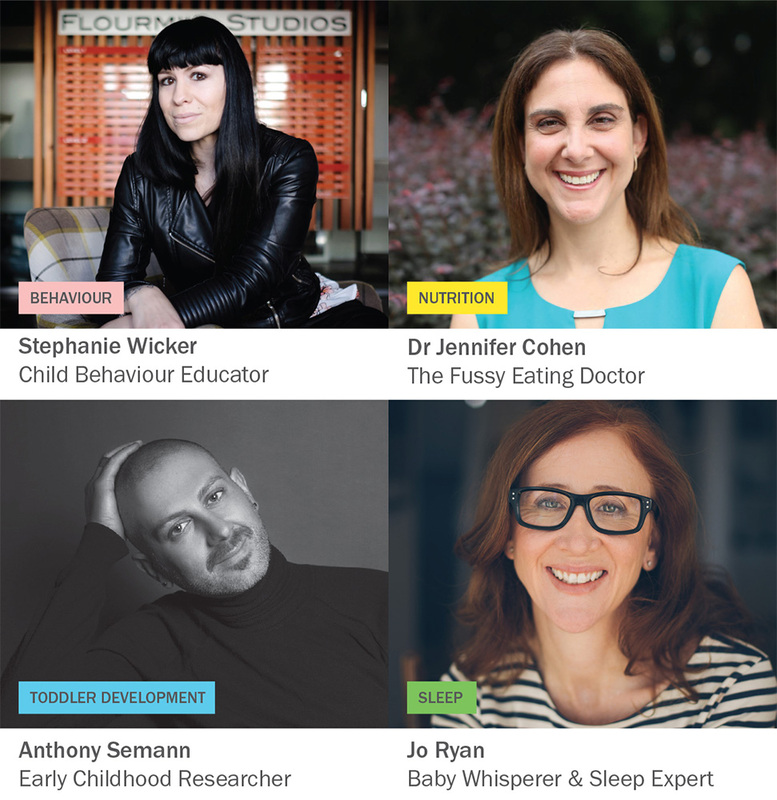 Moderated by Shevonne Hunt, this will be a toddler advice super-session with all four experts giving us their top tips for tackling the toddler years, followed by an audience Q&A. With two exceeding services in Rosebery and Waterloo, The Green Elephant prides themselves on being a community of learners and uses this positive behaviour management to empower children to make the right choices with the right support as they grow into confident and capable learners. When it comes to kids’ accessories, b.box boast the best. They design products that are fun, innovative and above all, functional. Catering to baby’s first bites to big kids, their amazing product range features everything from meal-time must-haves to handy bottles to nappy storage solutions. NAN Supreme 3 is a premium milk drink, specially formulated for toddlers from 1 year of age when energy and nutrient intakes may not be adequate. Every cup contains probiotic Bifidus Bι and a mix of essential vitamins and minerals. Backed by 150 years of infant nutrition research and development, NAN toddler milks have helped to nurture generations of young children. Kinderling is the soundtrack to the daily rhythm and mood of a family with young kids. Like most parents, getting a good night’s sleep is their top priority so check out their range of children’s bedtime audio stories, Sleepy Soundtrack overnight music specials, Bedtime Explorers kids meditations and their new Promise of Sleep podcast. Listen on their free app, digital radio or online at kinderling.com.au.